Discover the life-changing power of self-discipline. Every year hundreds of young recruits join the US Marine Corps. When they arrive for basic training, they are soft, unfit, and mentally weak. The recruit will have no idea what real discipline means. Up to that point, he has lived a life of weakness. He has given into all his natural impulses and has feasted on junk food, surfed the Internet, and generally lived far under his potential. Very soon, he will be thrown into a cauldron of discipline. He will experience for the very first time a life of control and power. When he comes out on the other side, he will be a new man. People who know these men will see a transformed person. This is the power of self-discipline. 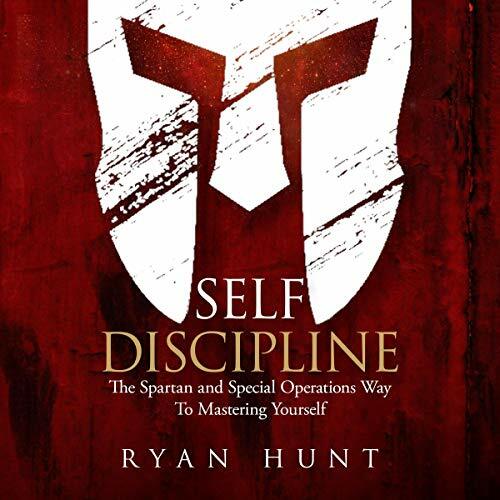 In this book, you will learn lessons in self-discipline from the masters of self-discipline.The Spartans and the Special Operations community is the heart and soul of discipline. The Spartans don't exist anymore, but they left a legacy that still lives on today. 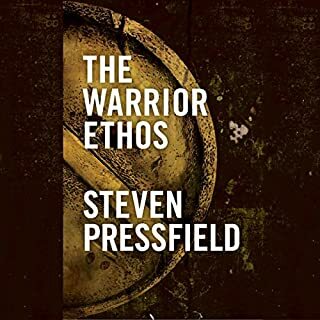 The warrior tradition of the Spartans is built on a foundation of immense self-discipline. The Modern Special Operations Units carry similar traditions of extreme self-discipline. Today, you can use these lessons in your life to carve out any future you want. 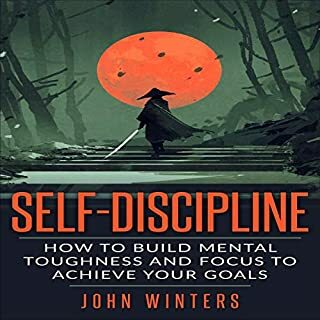 This book will guide you through the most important principles of self-discipline. It will teach you how to take your life and transform yourself into a powerful individual if you choose to do so and take action. You can tell that this is a very well read author who knows his stuff and knows how to write to get the message across! In fact, I can't put Ryan's books down. I've listened to two of them in the last four days! 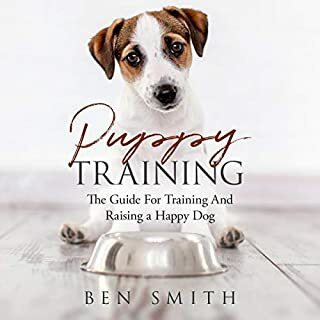 This book is great because it provides a ton of real-life and actionable examples on how to be more disciplined as well as explaining the importance of why behind it! The analogies that Ryan uses are spot on to get the message across. I especially enjoyed the comparison of the Spartans to the Athenians and how the Spartans preferred results and efficiencies (function over form) where as the Athenians preferred more ornate housing and finer foods (form over function.) Great book Ryan. I can't wait to listen to the next one. This book has a good information, but the delivery is like sitting in a college lecture hall listening to a power point presentation. 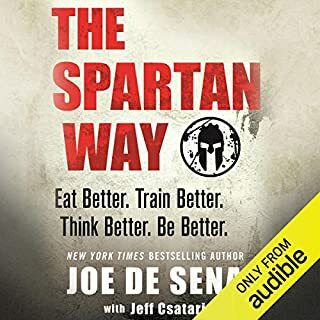 The author could have provided some background on where he received his information on special forces and the Spartans and how they develop self discipline. I was given this free review copy at my request in exchange for an unbiased review. there are better books on this topic on the market. skip. This was a pretty good listen for the price and length. I wasn't sure what to expect, but I got some really good tips and advice that I started applying to my daily life right away. It was great for my morning commute and lunch break because it wasn't too in-depth that you couldn't listen to it in short spurts when you have time. All-in-all I'm quite glad I gave this one a chance. I'm actually looking forward to other books by this author no that I've finished this one. The narrator was pretty good and I'd look forward to listening to him again. I have learn a lot of things about self discipline from this. The methods and tips are really amazing. I appreciate the methods and the way they described. This is an worth purchases. Finally i am able to replace my bad habit with good ones. Self Discipline helps me to find out and fit it. I changed my daily routine and make a schedule by following that. Author did a great job. I am really happy to get this to my library. I already listen it multiple time. It's one of my worth purchases, that's changes my way od self discipline. 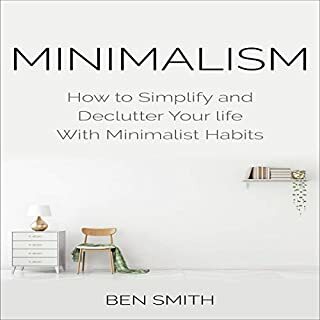 I am looking for guide to improve my habits and improve my self. Then i got this masterpiece and start listening it, it really helps me out to discover myself and helps to stick on my focus and aim. 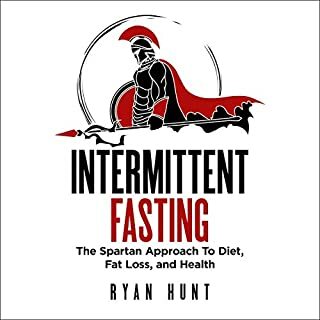 Listening to this book not only motivated me to get in better shape but it also gave me the motivation and inspiration to tackle other goals and face obstacles in other areas of my life. And that's just what we need as we enter a New Year.